If you’re anything like me, you wait for this day all year long. Well, thankfully you probably aren’t a lot like me and that’s a good thing. In celebration of this special day which this year falls in an election year, read the acceptance speeches of Presidential candidates McCain and Obama translated into Pirate Talk. Much more interesting than I remember the first time. 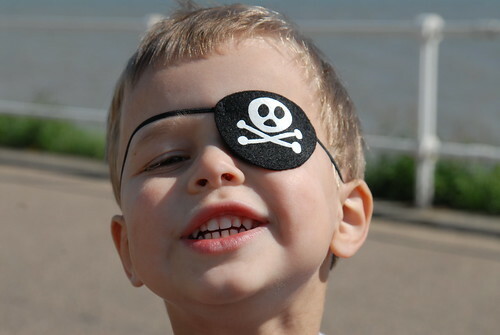 The Official International Talk Like a Pirate Day website. As Republicans are to Democrats, Pirates arggh to Ninjas! Here are a couple of videos that I recycled from last year because they arghh just that good. Previous Previous post: "America, we can not turn aft. We cannot keelhaul alone."